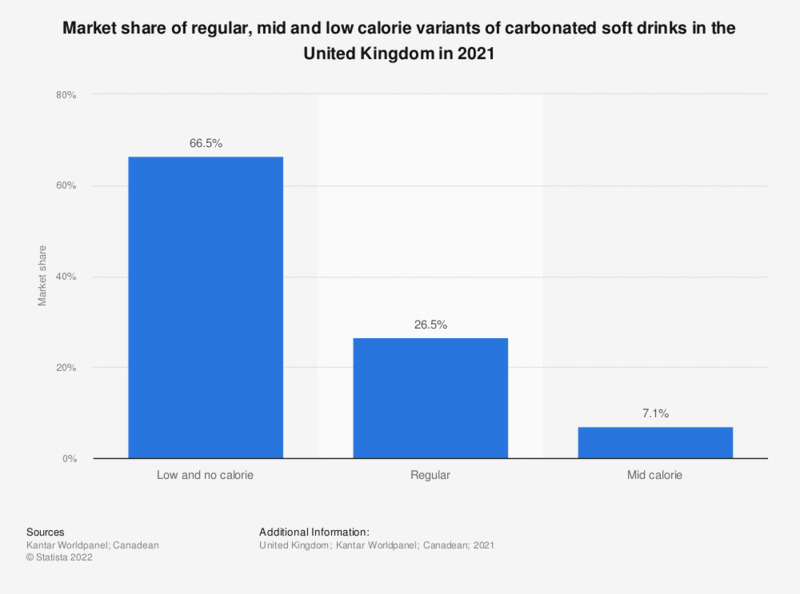 This statistic shows the percentage market share of regular, mid and low calorie variants of carbonated soft drinks in the United Kingdom in 2016. Carbonates with low and no calories made up 43 percent of the carbonated soft drink market in the UK. The report defines carbonates as follows: "ready to drink including draught dispense and home; regular, mid, low and no calorie; sparkling juices; cola; lemon including lemonade; lemon-lime; mixers including tonic and bitter drinks; orange; shandy; others including other cabonated fruit flavours, sparkling flavoured water, health drinks and herbal drinks."